Hockey pucks and accessories may be added to your other flat rate orders without paying extra postage. Send an email to FrancineMilford@cs.com and she will add up your order and send you an invoice. Contact me before you order to see if your order qualifies for reduced postage or student discounts. The Hockey Puck fits perfectly in the palm of your hand so that you can hold it in one hand during your sessions to activate your tuning forks. Hockey Puck measures 3" diameter across the top and bottom. Handy, convenient and easy to use. You will love this item. Cost of black hockey puck is $2.99 plus $6.99 postage inside of the USA. for one and $5.00 plus $6.99 US postage for two. 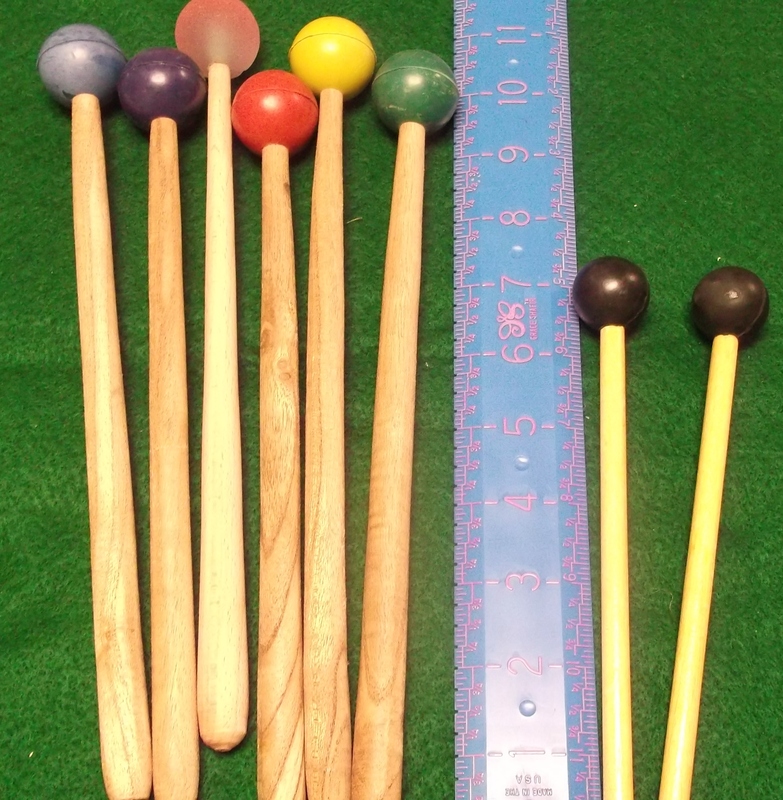 Choose from 'large' or 'small' wooden mallets with rubber ball. Sorry, but there is no choice of color. I only have large ones left. One Hole in center of hockey puck fits most rounded tuning forks. 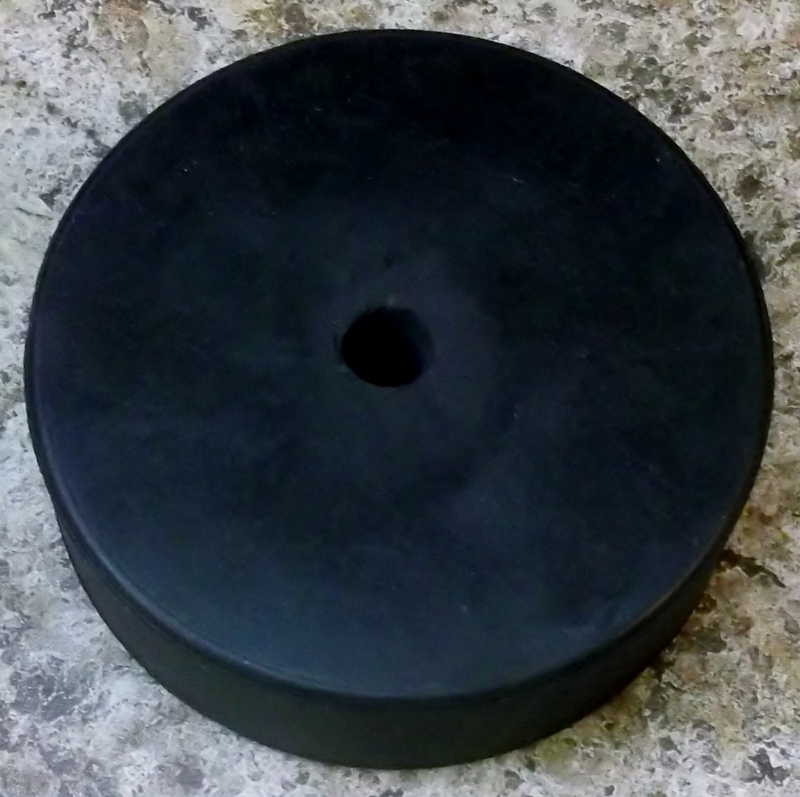 Cost of black hockey puck with hole is $9.99 plus $6.99 postage inside of the USA.